You won’t even have to fight traffic to the game! People from all over Chicago travel to Guaranteed Rate Field to watch the White Sox play. Many parking lots are near the stadium and the CTA red line train makes a stop at Sox/35th, providing public transportation to the stadium. Once inside Guaranteed Rate Field, four levels of seats extend from behind home plate to both of the foul poles. There are 85 private suites and four party suites. A two-tier stadium club restaurant is located down the right field line. Bleacher seats stretch across the outfield, with the exception of the centerfield bleachers. 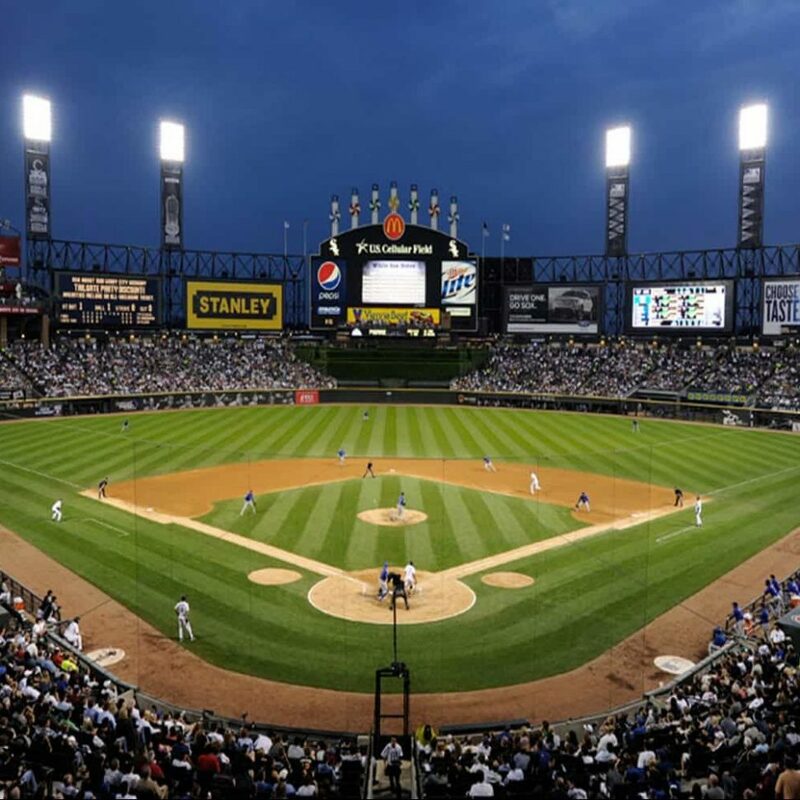 Numerous amenities can be found at Guaranteed Rate Field, including the interactive FUNdamentals skills deck in left field and the two-level fan deck in center field that provides a panoramic view of the playing field.